KABUL -- In an emotional letter to the family of slain US Maj. Brent Taylor, slain in Kabul Saturday (November 3) in an apparent insider attack, an Afghan National Army pilot who worked alongside Taylor said their friendship inspired him to become a better man. Maj. Abdul Rahman Rahmani, a pilot with the Special Mission Wing in Kabul, shared his letter on Twitter November 4. "I want you all to know that most Afghans feel extreme sorrow and pain over the loss of your husband and father," he wrote to Jennie, the wife of his slain friend, and their seven children. "I can't imagine your sorrow or sense of loss, but please don't think that the violent act that took his life is representative of us or our sentiments towards Americans," he said. Taylor "died for the success of freedom and democracy in both of our countries", Rahmani wrote. "I have lost eight members of my own family, including my father, three uncles and two cousins, in the devastating war," Rahmani said, adding that he has been wounded twice. "However, I will continue to still fight this 'good fight,' in the words of your respectful husband. I am fighting for a great cause." Before meeting Taylor, Rahmani said, he did not think that women and men should be treated equally. "Your husband taught me ... to be a better father, to be a better husband and to be a better man," he wrote. Nobody immediately took responsibility for the insider attack that killed Taylor and wounded another American soldier. The incidents, also known as "green-on-blue" attacks, in which Taliban infiltrators or disgruntled members of the Afghan forces turn their guns on their foreign partners, have become a preferred war-fighting tactic for the Taliban. "Initial reports indicate the attacker was a member of the Afghan National Defence and Security Forces," NATO's Resolute Support Mission said in a statement, according to AFP. The attacker was killed by "other Afghan forces", it said, adding that an investigation was under way. The Taliban claimed two similar attacks in Kandahar and Herat provinces October 18 and October 22, respectively. Gen. Scott Miller, the top NATO and US commander in Afghanistan, narrowly escaped the earlier attack, which killed powerful Kandahar Province police chief Gen. Abdul Raziq, a staunch opponent of the Taliban. Another 13 people were wounded in Kandahar, including US Army Brig. Gen. Jeffrey Smiley. Taylor was the mayor of North Ogden, Utah. He served two tours in Iraq and was on his second tour to Afghanistan when he was killed, according to the Salt Lake Tribune. In an email to Salaam Times, Rahmani called Taylor "a great man!" "I have gained a lot of knowledge from him," Rahmani wrote, referring to Taylor. "He might not take credit for it if he was alive." "Maj. Taylor knew Afghanistan ... He knew our history, culture and social norms. He was also very motivational," Rahmani continued. "Afghanistan has never been a strategic ally of Russia or Iran in the past," he added. "If Afghanistan chooses a strategic partner in the future, it will be the US. The US also can count only on Afghanistan in the region." I do not curse anyone, let alone a dead person. Because only Satan should be cursed, and humans, regardless of whether they are Muslims or infidel. First off, I curse the on this dead occupier. Secondly, a thousand curses be upon this Afghan pilot, as well as upon those who expressed sympathy with the dead person. The United States must know that neither you nor us will ever be friends of one another. I am not in favor of war. Quite the contrary, I am all for peace. However, these terrorists should be killed, since they murder innocent people and create a void in our friendship with the United States. We, the Afghan government and people, thank our friend, the United States of America, for supporting our country in every which way possible. I hope that the country and people of Afghanistan properly use and protect this assistance. The main cause of all the killings in this country is the existence of this [so-called] pure Islam. Instead of Islam and Islamism, I wish we just had a little bit of humanity. Kudos to that Afghan pilot who, at the very least, learned a little bit of humanity from that American soldier. As for us, we have learned from our pure Islam none but killing, savagery, suicide attacks, explosion, and massacre. He has said that prior to meeting Tailor, he was not aware of the fact that one should treat women and men equally. These Satan-worshipers murder our innocent compatriots on a daily basis, while Mr. Rahmani and his likes do not make any comment about it. These looters are looting our country, in order to improve the lives of their own people. It is such a shame and pity for us, the people of Afghanistan. Alas, for this situation of this nation! I'll answer this young American fellow. Former rulers of Afghanistan used to first rinse their moths seven times before mentioning the name of "Union of Soviet Socialist Republics", adding the title "invincible" to it. Eventually, and with the help of God, they were defeated along with their masters. Do not be such apple-publishers, for these claims are far greater than your mouths. And. as was the case at the Game of Throne finally, only a General can stand against another General! It is unfortunate that despite the fact that this Afghan does not know the marriage fundamentals, despite the fact that Islam exists here. He has learned that from an American, and not from Islam. I'm sorry for this compatriot! Just wake him up, for it is no longer the time for deep sleeps. Why should all these civilians be killed? I am very sorry for lose of lives in Afghanistan irrespective of the victims' nationality and religion. I pray for a world free of violence. Hundreds of Muslim Afghans die everyday and yet, no one inquires or writes an article about it. I am against this article, for no one has ever written a similar article for an Afghan. No! 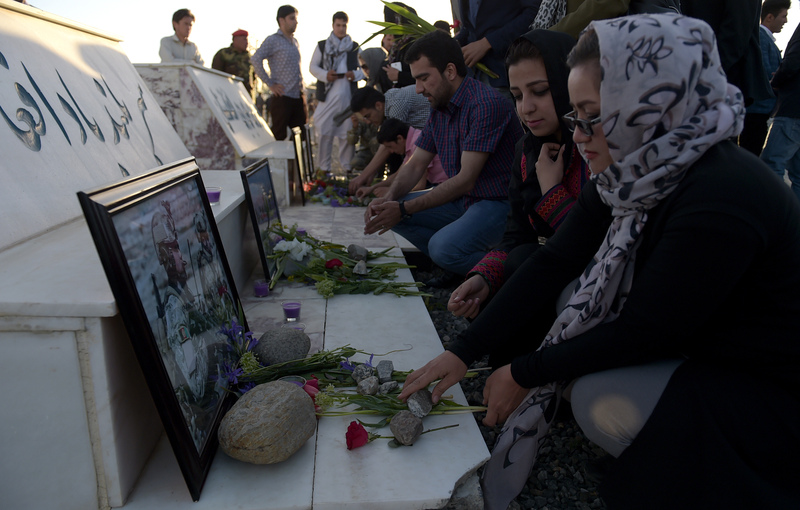 The majority of Afghans are not saddened by the death of an American. Because it is the U.S. who is after its own interests and never wants the war to end in Afghanistan. First, I express my greetings to all the readers. Then, I too am not happy with the death of an American, or any human-being in general. Killing is not the solution. Nevertheless, the U.S. government and American politicians must know that the main perpetrator of all these killings in Afghanistan is the United States, and one day [the U.S.] will eventually has to pay back for it. You have martyred the best among our men; you have destroyed our homeland; you have made us poor and desperate! Everyone knows that all these bloodshed is done by the United States. I just do not know how they can keep silent! We call on the international community and the United States to leave our homeland as soon as possible and not martyr us anymore. 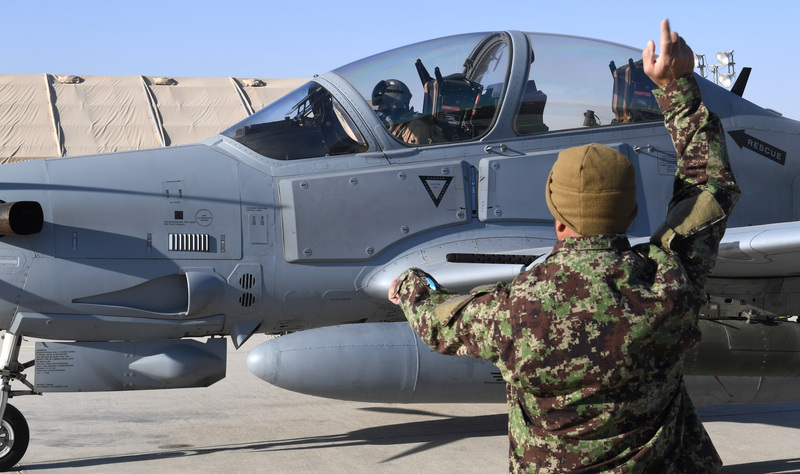 The ability to carry out nighttime air strikes will allow the air force to more effectively target militant hideouts and support ground forces. Taliban militants killed over a hundred Afghan soldiers at a base near Mazar-e-Sharif while they were performing their Friday prayers.